To celebrate their 75th birthday Krispy Kreme are giving away 12 free doughnuts. 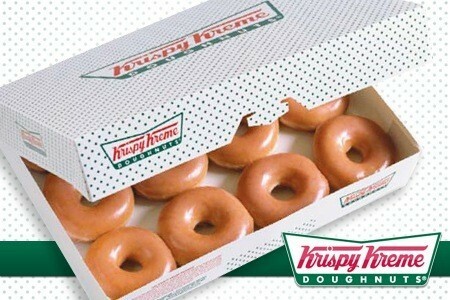 Like the Krispy Kreme Facebook page and claim a free box of 12 Original Glazed Doughnuts. After liking the page simply sign up to their Friends of Krispy Kreme newsletter. They'll send you a voucher along with dates of where and when you can redeem your free doughnuts. Hurry, it's only available until Sunday 15th July 2012.